This is the third in our set of three meditations focusing on grief and has particular significance in connection with the recent Earthquake in Nepal. If you are not able to connect in with us tonight, the crystal cairn here at Old Nisthouse, Orkney remains directed to Nepal to help all in distress in that region. 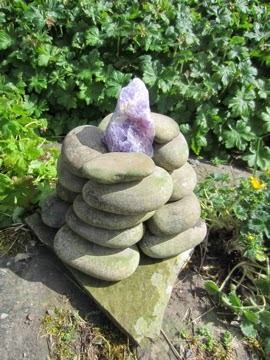 You can empower the work of this cairn by simply visualising the image of it below in meditation, or through positive thought or prayer at any time. The crystal cairn here at Old Nisthouse will remain directed to helping all in need in Nepal. Please continue to connect in through meditation, positive thought or prayer when ever you are able. Thank you. Woke up to snow again this am! Just redirected the crystal cairn, here at Old Nisthouse, to help all affected by the powerful earthquake which has hit Nepal in recent hours. Nepal holds a special place in my heart after living there for nearly two years in the nineties. 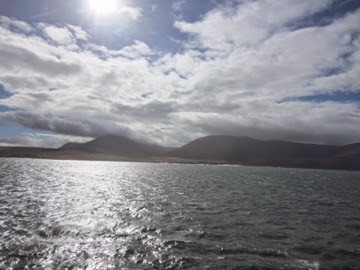 Please connect in through meditation, positive thought or prayer when ever you are able to help those in need in one of the most beautiful yet poorest countries in the world. Many apologies for not posting the meditation focus for last night. It was actually a repeat of last week (see 16/04/15) and this focus will be repeated next Thursday evening. I was so busy working on the projects new website that I only managed to text out the details. Hope you can all join us next week. Today is World Earth Day. 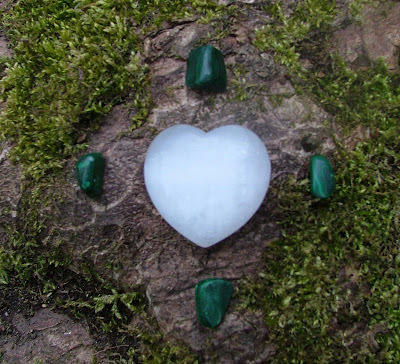 Whether you are singing to the trees, working the land or simply celebrating the beauty of our Mother Earth in your heart, it felt important here at Crystal Earthworks to connect to the Pure Earth and Pure Strength sets which came into being on this important day in 2008. This combines a Pure Grace Heart with four malachite. It is a configuration to bring great healing, alignment and strength to the natural world and can be planted to facilitate cleansing, strength, renewal growth, regeneration, vitality and flow. It has a particular relevance to trees - the great supporters of life on our planet yet will help support 'natures web' on all levels. Suitable sites of planting include forests, woodland, copses, National Parks, wildlife parks, nature reserves and sites of special scientific interest. This combines a Pure Grace Heart with four rubies. It is a configuration to bring healing to the lands, earth and inhabitants of its place of planting, promoting the flow of physical and emotional nourishment, sustenance and abundance. It can be planted to promote and sustain soil fertility, placed to areas of deprivation and poverty and has both rural and urban applications. 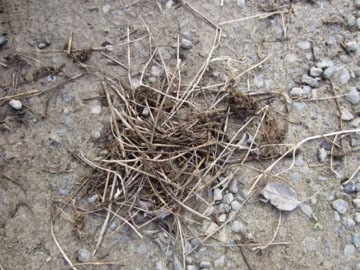 Some of you will remember my posting from three years ago, 10th May 2012, re starlings building a nest in my car. Well they have started again. 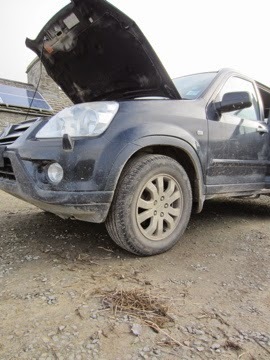 Luckily this time being wiser to the situation, I have caught them earlier and I am trying to leave the bonnet open as much as possible and regularly remove all the grass and moss. I do feel a little mean though when I come home and find the starling most likely responsible sitting on the wall by the parking area seemingly waiting for my return but I do need to use the car and can't afford for it to set on fire! 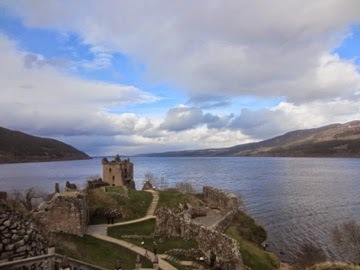 The first of this month was marked by the crystal planting of Loch Ness in the vicinity of Urquhart Castle. 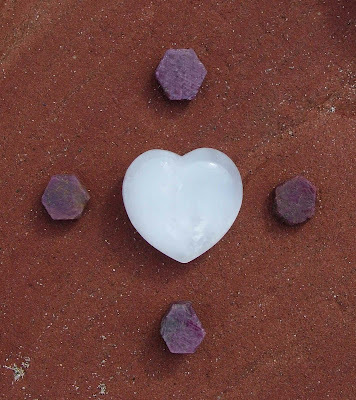 The grounds of the castle were planted for Peace and Healing using a rose quartz grid some years ago, however it felt key to use the General Healing configuration this time around, comprising of a rose quartz chunk and pyrite chunk. These were thrown from the castle grounds into Loch Ness in line with the deepest part of the Loch. 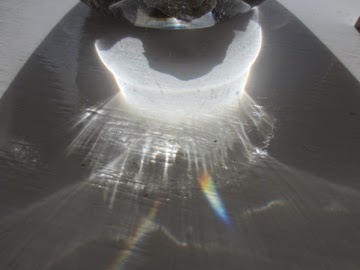 This crystal planting felt to be to heal negative imprints associated with past raids of the castle from the Loch. Spectacular light show over the house, here in Orkney last night. One of the best viewings of the Northern Lights we have had. Above Drumnadrochit, Loch Ness, Inverness-shire, Scotland, is an Old Fort Site. 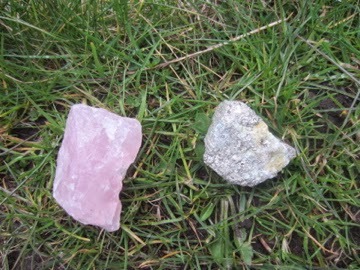 A former site of executions, this was planted in late March 2015 with the general Healing configuration which combines pyrite (for absorbing negative energy imprints) and rose quartz (to bring peace and healing). Notable energy changes took place with a 'heaviness' to the site lifting and more vibrant and flowing energy taking its place which continued to be felt on subsequent visits. 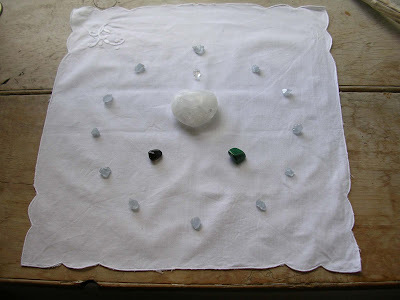 It is really important to cleanse any crystals used in the home on a regular basis. The simplest, and a very effective way of cleansing them is to place in water overnight in a glass bowl. This method of cleansing is suitable for all crystals except those that are soft and more crumbly such as celestite or selenite. These and any jewellery mounted crystals are best placed to an amethyst bed overnight, which is then itself cleansed in water, or they can be rinsed in running water, patted dry and left to rest. 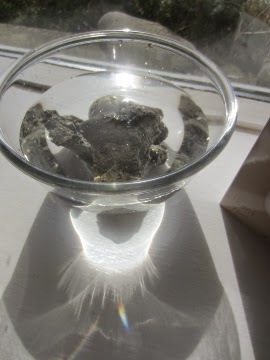 When recently soaking various pieces of pyrite I use here at Old Nisthouse to negate negative electromagnetic energies, this unusual lighting effect was created. 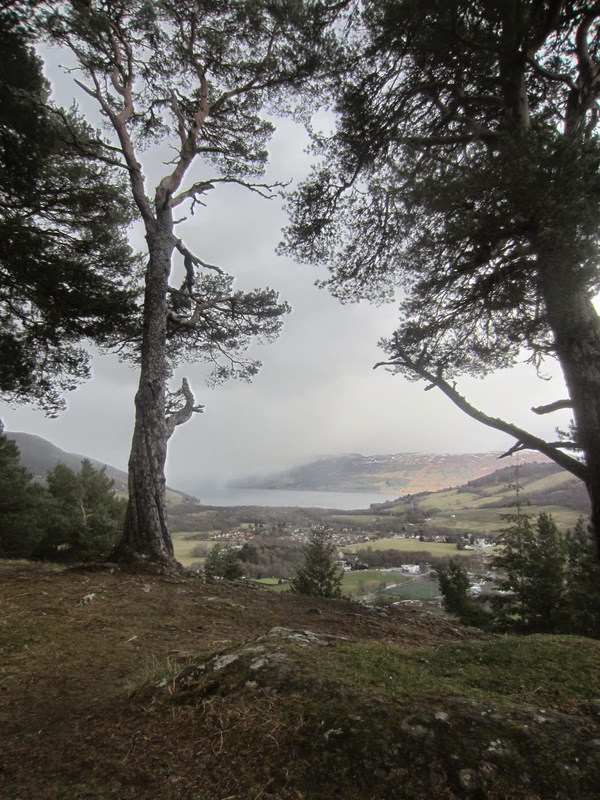 Recently returned from trip to northern banks of Loch Ness, Scotland. We had many lovely walks and lots of crystals were planted. I will share the details over the next few days as it is far too much to put in one post!